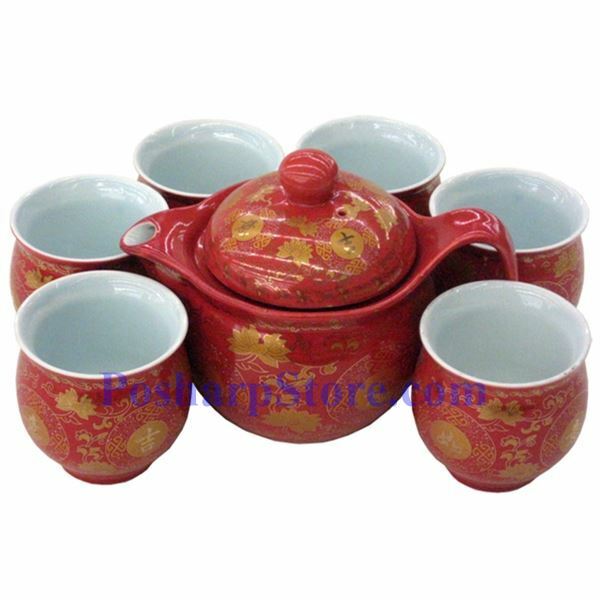 This brilliant vermilion china set features a timeless design blending passionate classic Chinese vermilion color with a delicate lucky character motif. Lustrous vermilion glazing is a unique art form only accomplished by the finest production facilities in China. 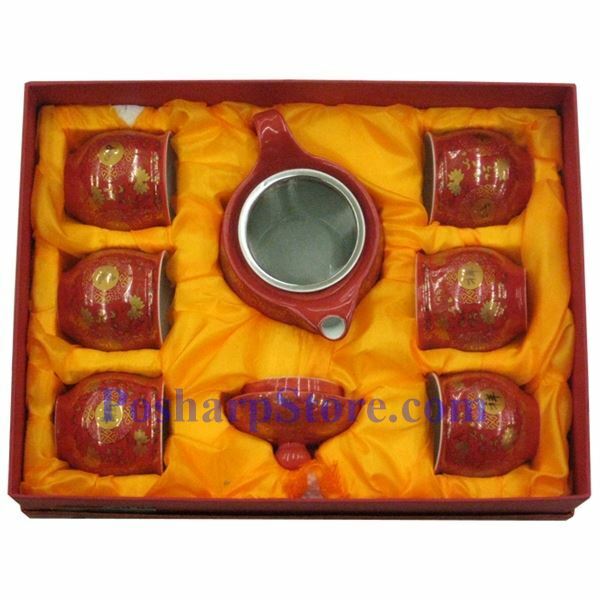 This eight piece tea set includes one teapot, six tea cups and one removable built-in stainless steel infuser. The cups and teapot have a brilliant white interior. All of these pieces feature hand-finished accents.